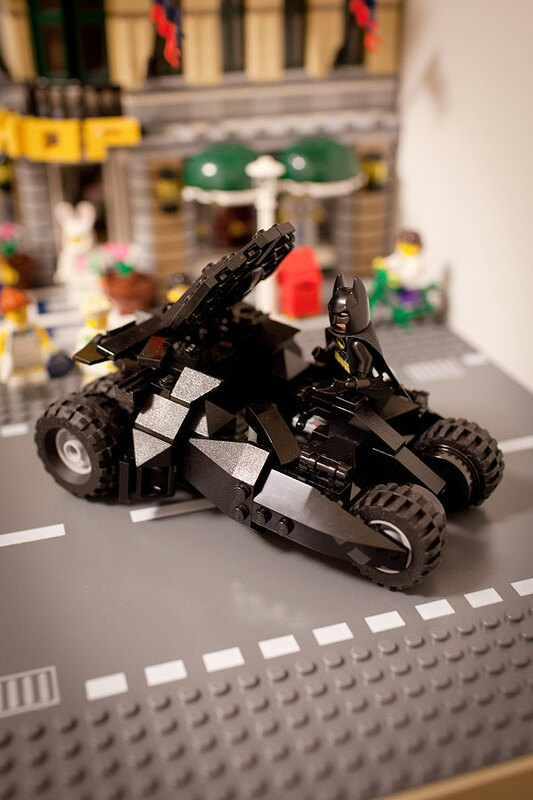 As my Avengers Superheroes set is growing strong with the Quinjet, I think the Batman also deserves his own power ride. 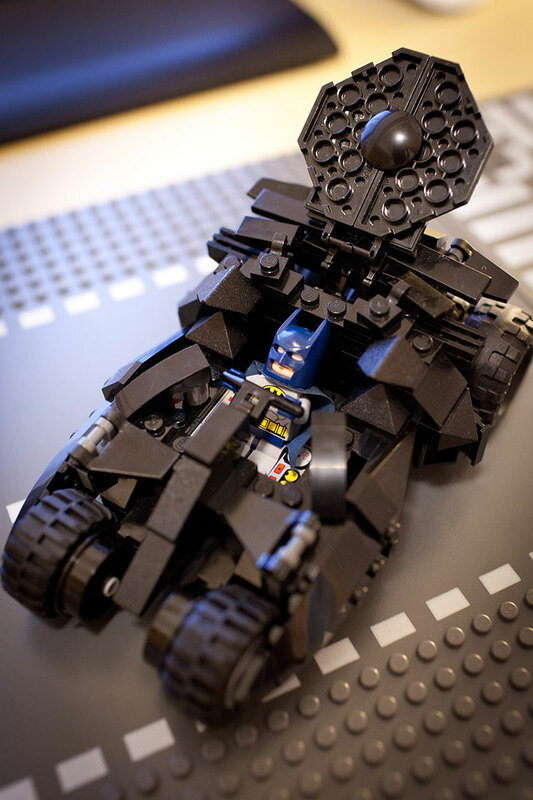 However, none of the Bat Mobile design appeals to me except the tank-like Tumbler created from the latest Batman trilogy by Christopher Nolan. 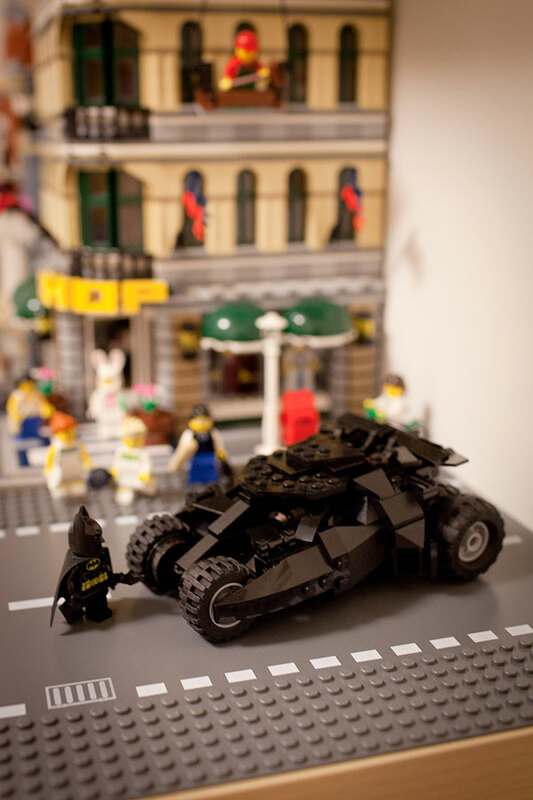 No doubt that will be Batman's car in my Lego city. 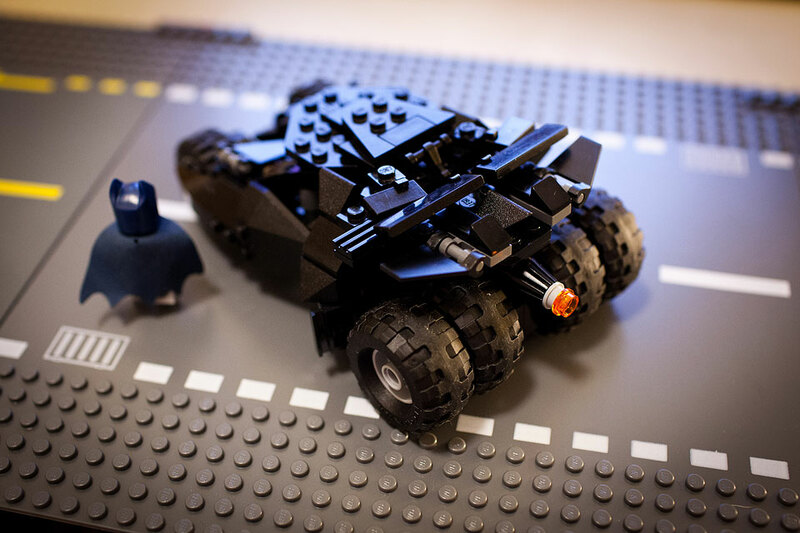 Many people around the world have already created their own versions of the Lego Tumbler, as Lego's official one is too appallingly out of place. 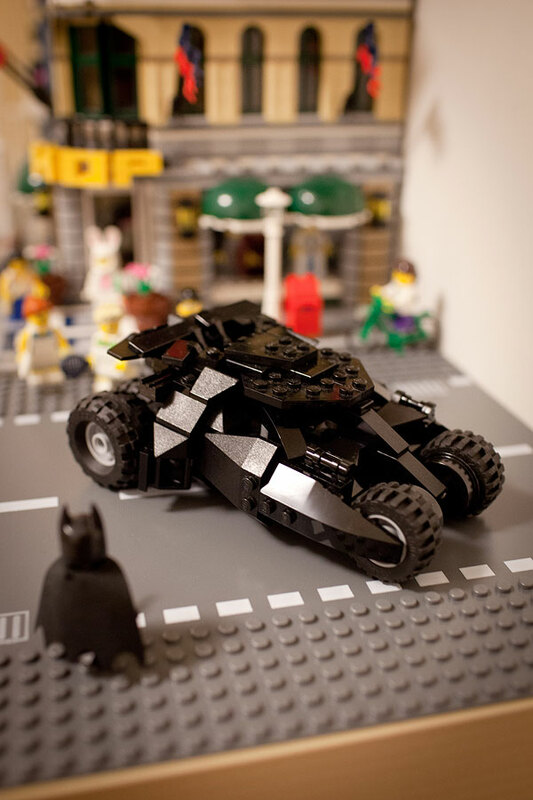 Its size doesn't not fit with any other sets, while its details do not match the real Tumbler. It is no doubt one of the ugliest creation by Lego. 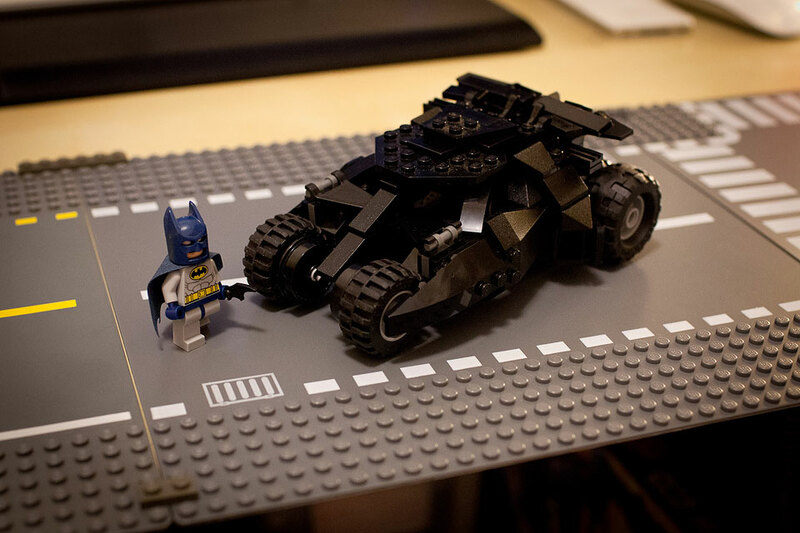 I have studied the car for two weeks before deciding what to create with the bricks. I also looked at what others have created, especially getting inspiration from Tiler's Tumbler. His car is very detailed, but to me it should be a little bigger in order to crush the other cars. So here mine comes. Or maybe a shot with the city is better. 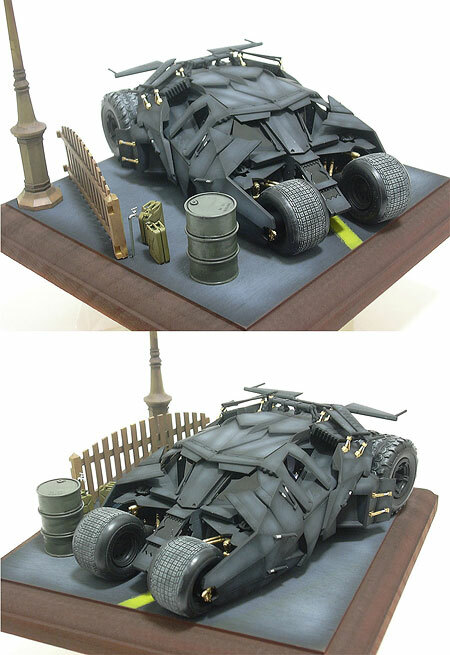 The Tumbler in the last photo is a little different than the one above, as I changed the remaining grey parts into black, and I also acquired a new Batman in complete black suit. 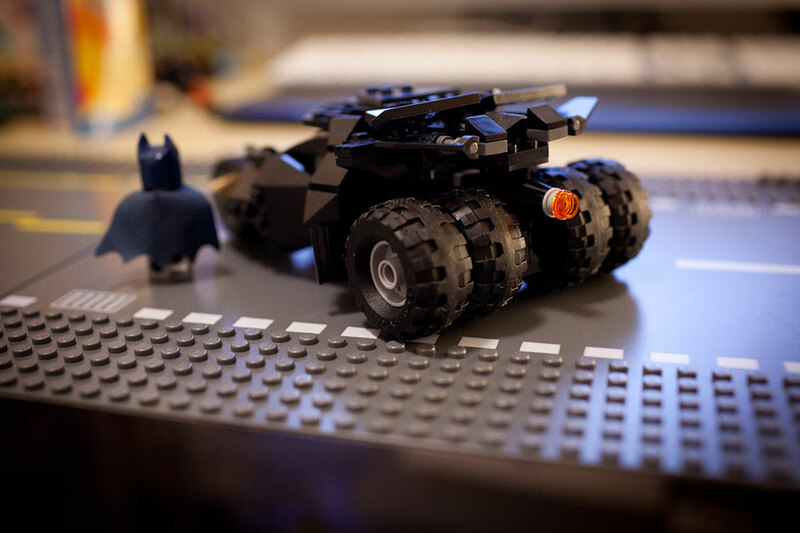 The Tumbler is not completely the same as the one from the movie, as I modified it to suit more into the Lego world. As I mentioned, I try to make it in the right proportion in the Lego world, but still a little bit wider than the normal Lego cars, giving a more sturdy appearance. And Batman can sit inside comfortably. Some photos to look at the tail of it, which consists of four huge wheels and a jet engine for short-distance jump. It is a wonderful experience because it is not just being creative, but requires a lot of research in order to get the right proportion and form for the Tumbler. 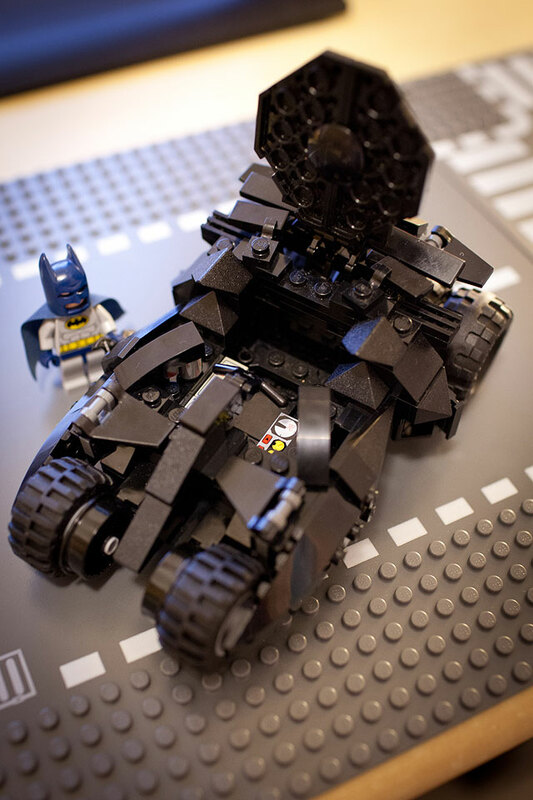 Besides looking at the original Tumbler that Nolan and his crew created, I also looked at a lot of references from the other Lego fans, who created some extraordinary Tumblers too. 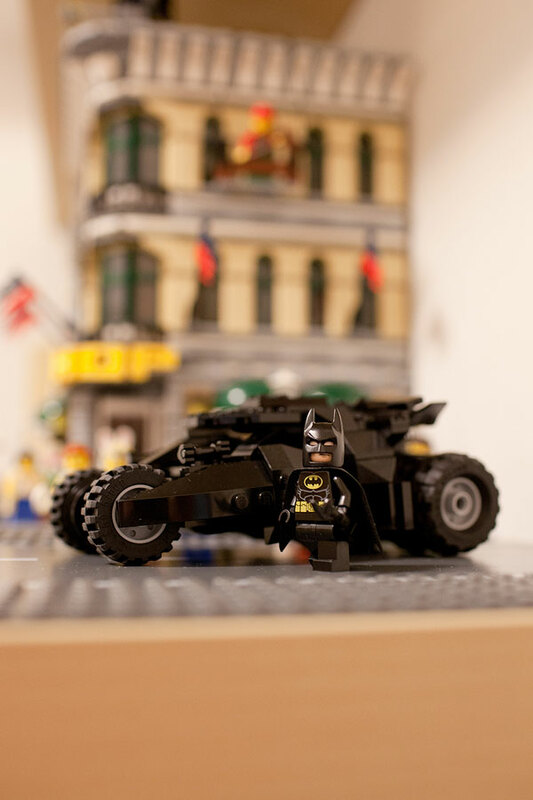 For those who want to read my first Lego comics of Batman, you can visit here. Enjoy!